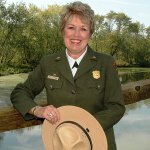 World Ranger Day is an annual holiday established by he International Ranger Federation to celebrate the contribution of park rangers to nature protection and commemorate rangers who died or were injured in the line of duty. It is celebrated on July 31. Park Rangers, also known as park wardens or forest rangers, are people whose main duty is preservation and protection of parklands. Their work is extremely important for the conservation of world's natural and cultural heritage. Many countries have national, state and/or local ranger associations established to support the work of park rangers. The International Ranger Federation (IRF) was established in 1992 to raise awareness of the contribution of rangers to conservation and support ranger organizations worldwide. It launched World Ranger Day in 2007 to celebrate the 15th anniversary of the founding of the Federation. The holiday is actively promoted by the member associations of the IRF (over 60 associations from 46 countries on 6 continents). World Ranger Day is celebrated with numerous events and activities held across the world. They aim to raise public awareness of the importance of parks, conservation, and preservation of biodiversity.